The Culture+ series comprises various activities designed to stimulate the body and enrich the mind, conceived in collaboration with workers from the field. For over 25 years, we have been sharing our passion for contemporary dance with school groups. Developed by our arts outreach team in collaboration with artists programmed at Tangente, our Youth Workshops offer unique and participative experiences. They take the form of a movement workshop given by a choreographer (possibly with dancers), followed by a show excerpt or full-length performance, and by a discussion with the creative team. 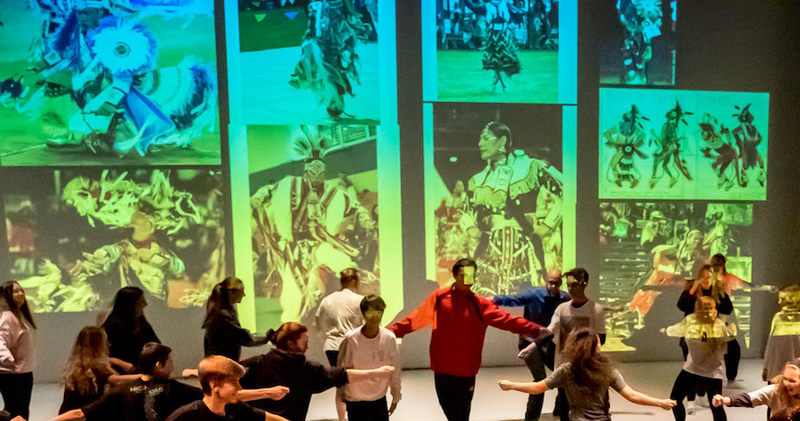 Designed for school groups, tailored for the elementary or high school level, these activities are a great opportunity to introduce youths to contemporary dance: its practice, its appreciation, its critical analysis. Upon request, we can develop special projects in partnership with a school and choreographers. For example, we have been involved since last year in the program Schools Host an Artist: choreographers Ian Yaworski and Philippe Meunier spent 12 weeks at elementary school Lanaudière to give 125 choreographic workshops. On April 29, International Dance Day, all 300 students will take over Place des Festivals for a public dance performance set to the song “Let’s Go Out”, written especially for the occasion by singer/songwriter Steve Dumas. We are open to various innovative collaborations! In the past, we developed activities in collaboration with various partners (museums and galeries, cégeps, dance schools…) that took such diverse forms as writing reviews, making dance videos, putting a show together step by step, or creating a choreography. We also offer specific, made-to-order workshops. Give us a call for more details!